It was eerily silent earlier. 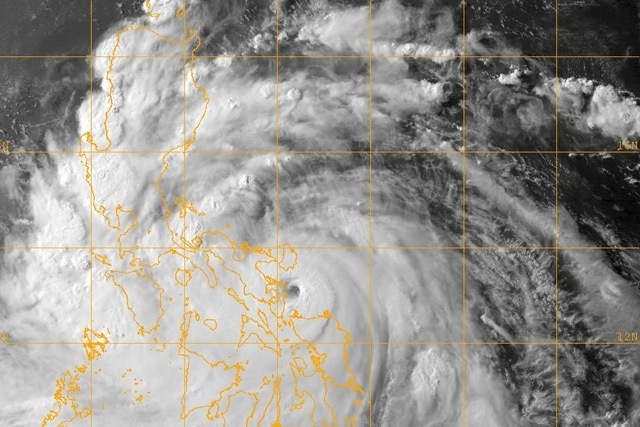 They said Typhoon Glenda Ramassun was going to hit Metro Manila early evening. Signal number 3 was hoisted over the metropolis at around midnight. The wind started to pick up around that time then it started to pour at 12:30. 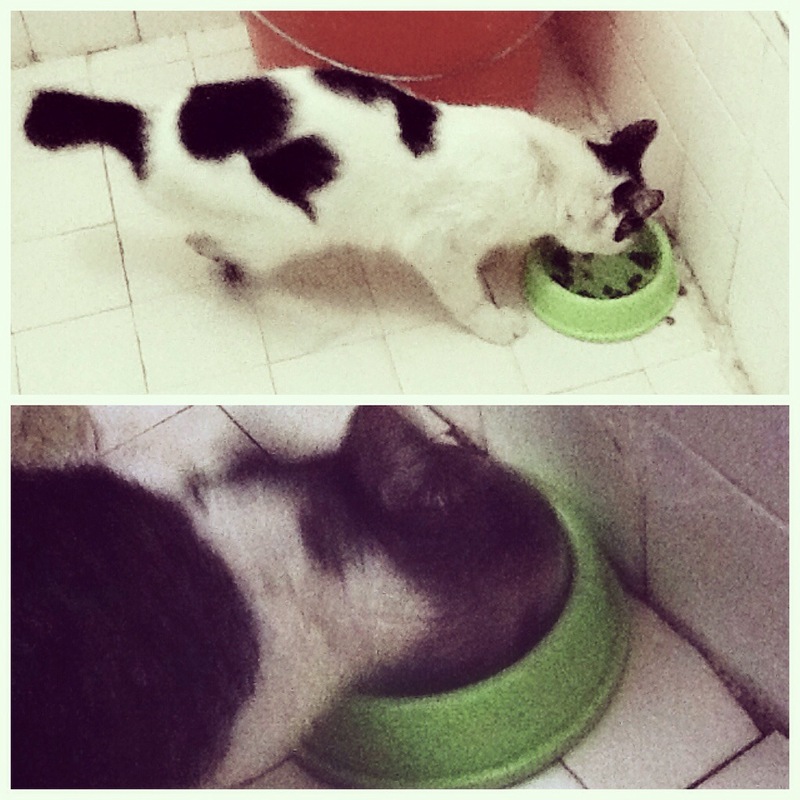 I decided to house the two stray cats my neighbors and I have been feeding. They said this storm will be a big one, so I didn’t want to risk them getting maimed by flying debris or getting sick out there in the rain. 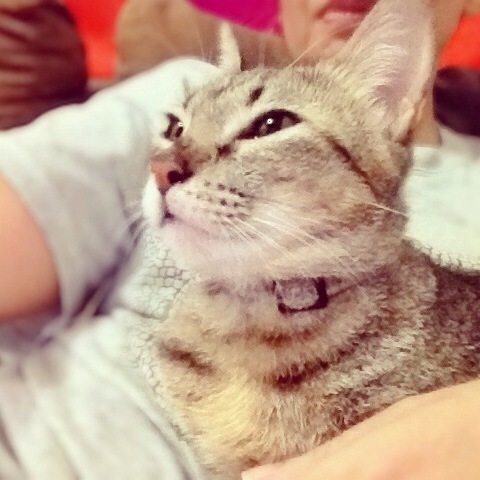 Gato (a.k.a. Siopao) and Rorschach (a.k.a. Hitler) don’t like lodgings I’ve provided for them (my downstairs bathroom); I can hear them complain once in a while. I guess it’s too cramped compared to our driveway, but better to have them in a controlled environment than out there. They will get over it. Hope other stray kitties have found shelter as well. And I hope the storm passes soon. This is going to be a long night. I don’t know how long it takes for the typhoon to pass but I hope you are all well. Thank you for taking in the strays to keep them safe, and for caring for them otudoors! Thank you, Bernadette! We get battered by strong typhoons at least 3 times a year and get monsoon rains at least once a month. We’re more prepared now, but we all still get scared. Hope this one does not turn out to be as big as they say it would be. The strays are our family, too! Hope they are not too upset about being cooped up.